Too bad there’s not enough of these prize possessions to go around. 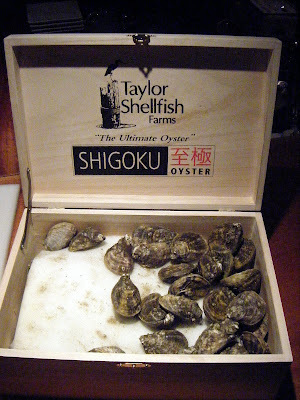 Which helps explain why, before last night, I’d never heard of Shigoku oysters let alone hoisted their deep little shells — each cradling a meaty morsel of magical, if relatively minuscule, proportion. “You’ve got to taste these oysters,” said sushi chef Taichi Kitamura, who was serving omakase elegance to a full-house upstairs at Kappo (recession be damned). 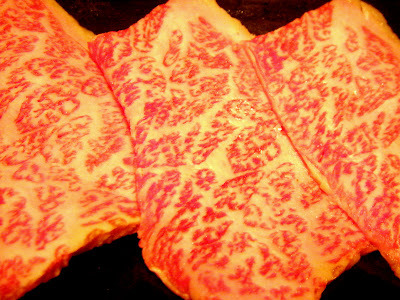 So, what’s up with those Shigoku? 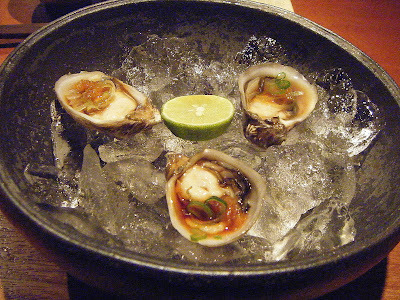 And how come I’m only now getting hip to the bitsy bivalve that’s raising the oyster bar here in Seattle? How new is new? “I’ve been selling them for about three weeks,” said Taylor’s man-on-the-street, “Oyster Bill” Whitbeck, whose been making the rounds delivering the goods in five-pound boxes — sold wholesale at $50 a pop to a Who’s-Who of restaurant recipients. His recent check-list included: Anchovies & Olives (for this week’s planned “soft opening”), Ama Ama, Art of the Table (where my blog-buddy Frank a.k.a. “Proncis” was wowed this week), BOKA, Brasa, Boat Street Cafe, Cremant, Crush, Frank’s Oyster House, Harvest Vine, How to Cook a Wolf, Poppy, Rover’s and Seastar (now open in Seattle). 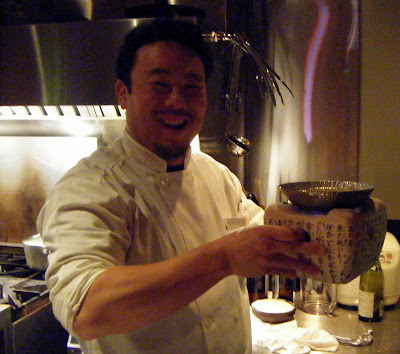 And it’s the delectable meat — along with their clean, deep cups — that has chefs like Taichi Kitamura vying to introduce customers to the oysters I sampled last night. 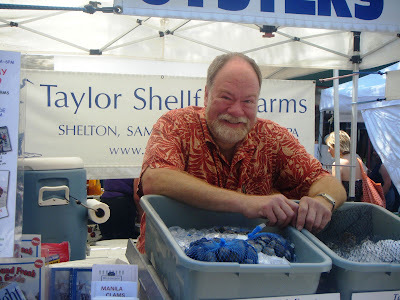 Those were planted in early fall, according to Austin Docter, Taylor Shellfish’s plant manager, who’s responsible for the what and when of the local oyster harvest. Unlike most Pacifics which take at least two years to mature, the Shigoku grow faster due to the tidal tumbling, says the oyster Docter. Which means they make it from seed to sale in short order. Though apparently, not short enough.